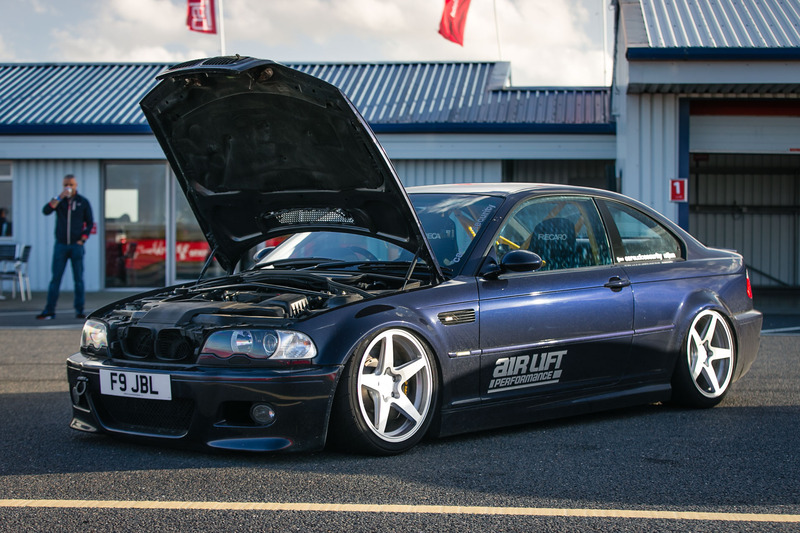 The Air Lift Performance slogan reads ‘Drive it, Show it, Track it’ and that is precisely what Raj does with his E46 M3. Around the world the E46 M3 has won fans in both show and track circles thanks to great coupe looks and a thoroughbred BMW-M powertrain. With such a dual personality it is the perfect car to display how versatile Air Lift Performance suspension can be. 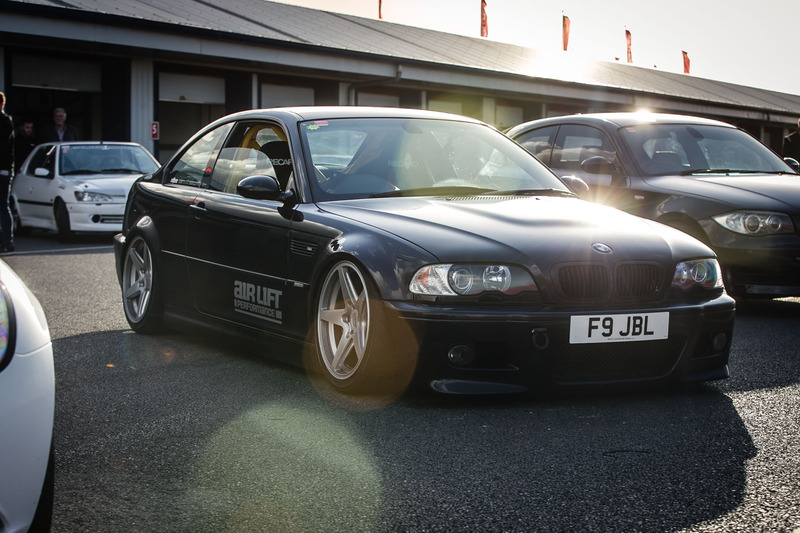 You’ll find this E46 M3 on display at shows up and down the country for Car Audio Security while pounding the UKs toughest tracks too. Raj has got himself a car that can do both. Of course, this is no standard BMW M3. Raj has chosen to make this one of his most track orientated builds yet. 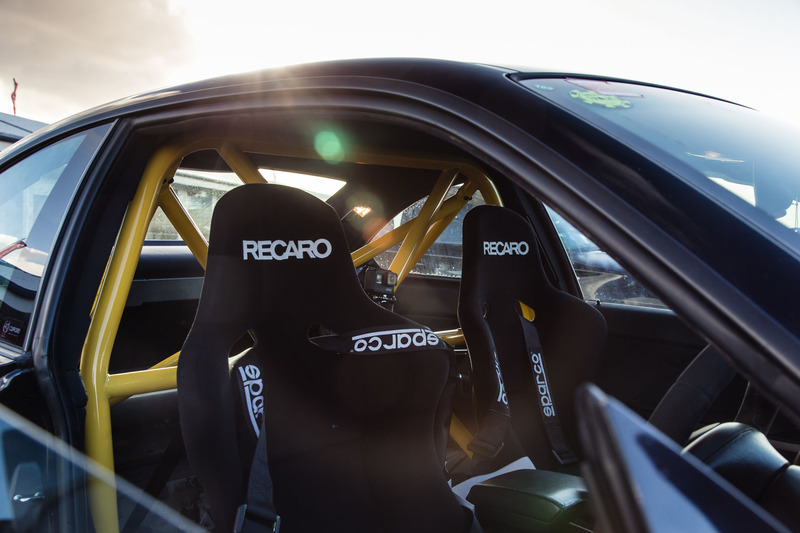 A PS Designs ‘GTS’ roll cage allows secure fitment of four point harnesses and keeps Raj firmly planted in the Recaro Pole Position seats out on track. 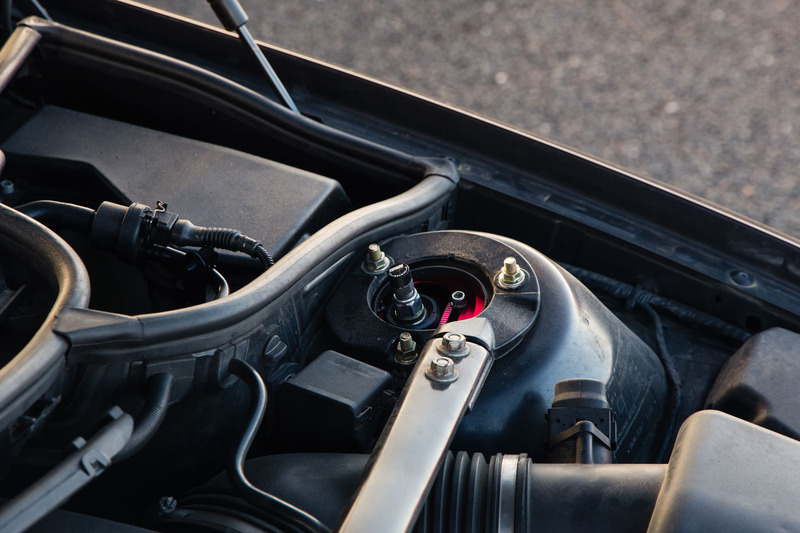 People who might have missed the slammed parked ride height peer through the interior and are surprised to see the brushed aluminium air tank in the back of the car. “They just don’t expect a car on air to handle so well” laughs Raj. 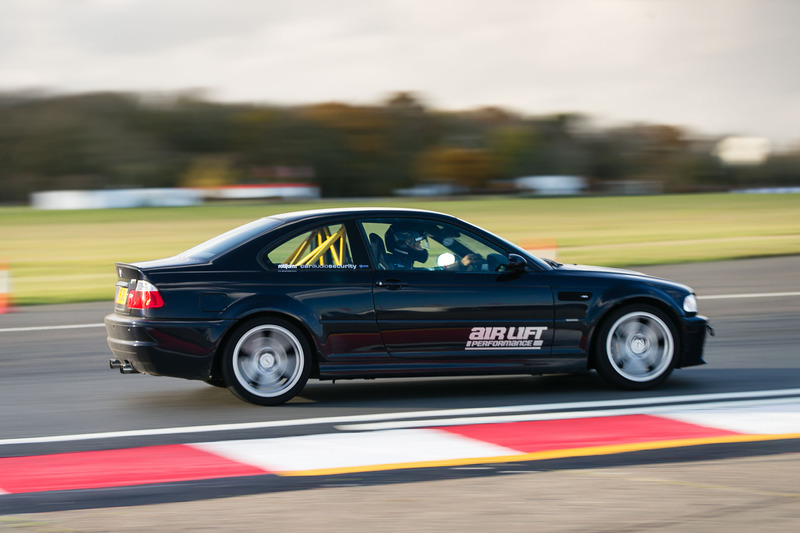 “Air Lift Performance’s 3 series is the most highly developed air suspension system on the market today, with the correct setup it absolutely excels on circuit” he continues. 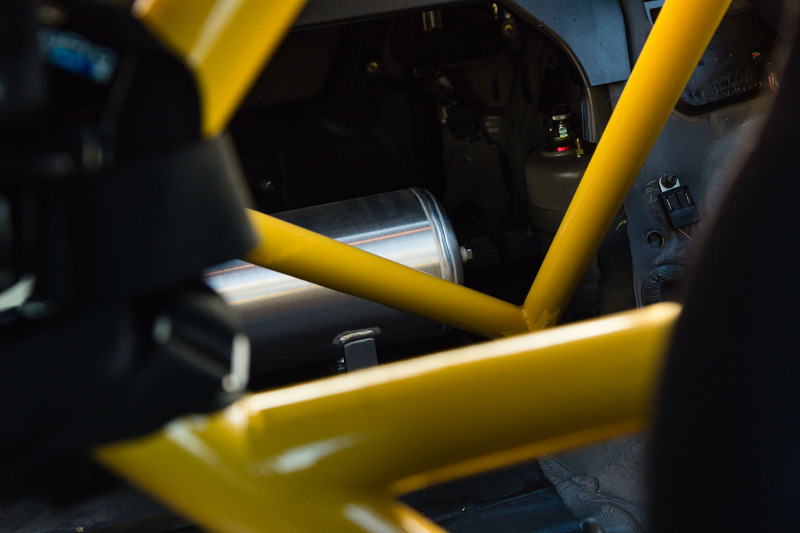 Thanks to individually adjustable dampers and threaded body height adjustment Raj has been able to hone his track setup absolutely perfectly and it’s rapid on track. 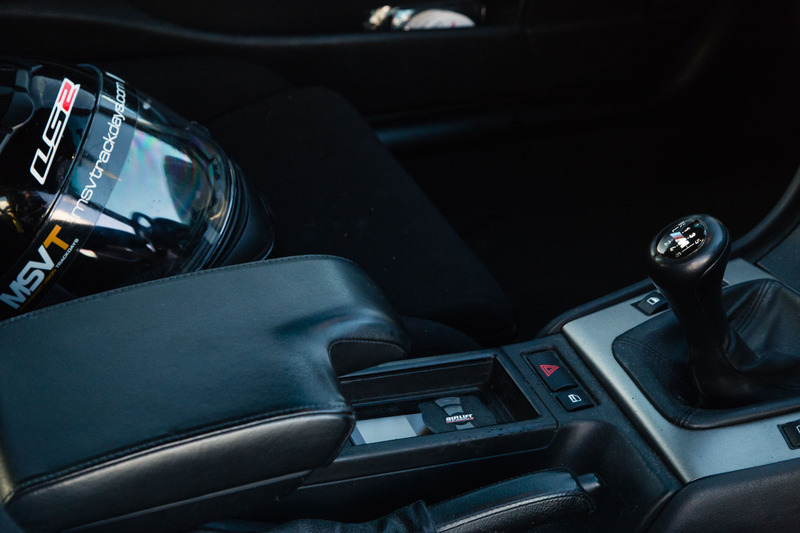 The controller is neatly integrated into the motorsport interior and allows Raj to air out at the touch of a button, which is especially fun in the track paddock.